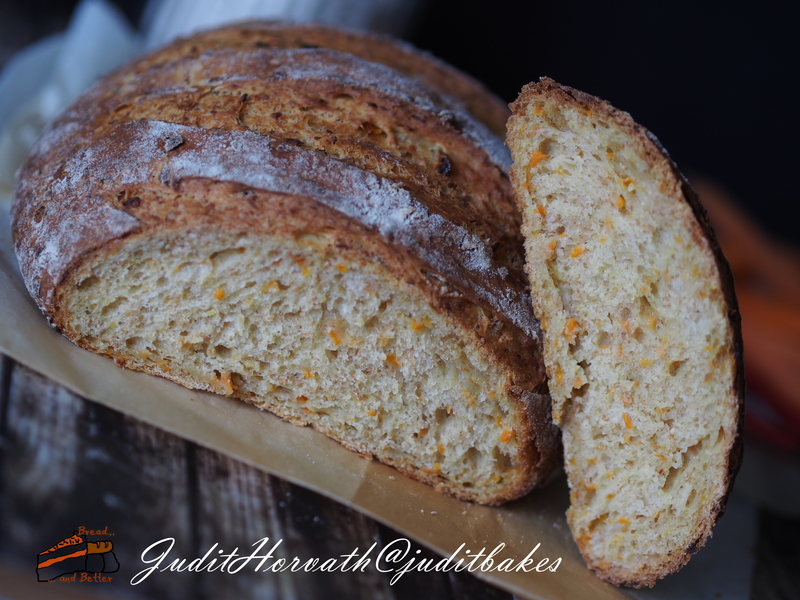 Autumn Tangerine: Carrot bread | When Judit bakes...bread and better..
As leaves change from green to yellows, reds, browns and oranges to signal the arrival of autumn, the mood and taste of people often captures the season with matching variation of culinary sensations. Orange is certainly one of the dominant colours, and for reasons of beauty and practicality carrot is a popular choice of cooking ingredient for the autumn. Carotenoids include beta-carotene, which makes both leaves and carrots orange. Interestingly, carotenoids in leaves start to deteriorate in the same time as chlorophyll, however, they do so at a much slower rate. Leaves are nature’s food factories. Plants take water from the ground through their roots. They take carbon dioxide from the air. Plants use sunlight to turn water and carbon dioxide into oxygen and glucose. Plants use glucose as food for energy and as a building block for growing. The way plants turn water and carbon dioxide into oxygen and sugar is called photosynthesis. That means “putting together with light.” A chemical called chlorophyll helps make photosynthesis happen, what gives plants their green color. As summer ends and autumn comes, the days get shorter and shorter. This is how the trees “know” to begin getting ready for winter. During winter, there is not enough light or water for photosynthesis. The trees will rest, and live off the food they stored during the summer. They begin to shut down their food-making factories. The green chlorophyll disappears from the leaves. As the bright green fades away, we begin to see yellow and orange colours. The bright colours we see in leaves are made mostly in the fall. In some trees glucose is trapped in the leaves after photosynthesis stops, so sunlight and the cool nights of autumn cause the leaves turn this glucose into different colours, whilst other tones are made from wastes left in the leaves. 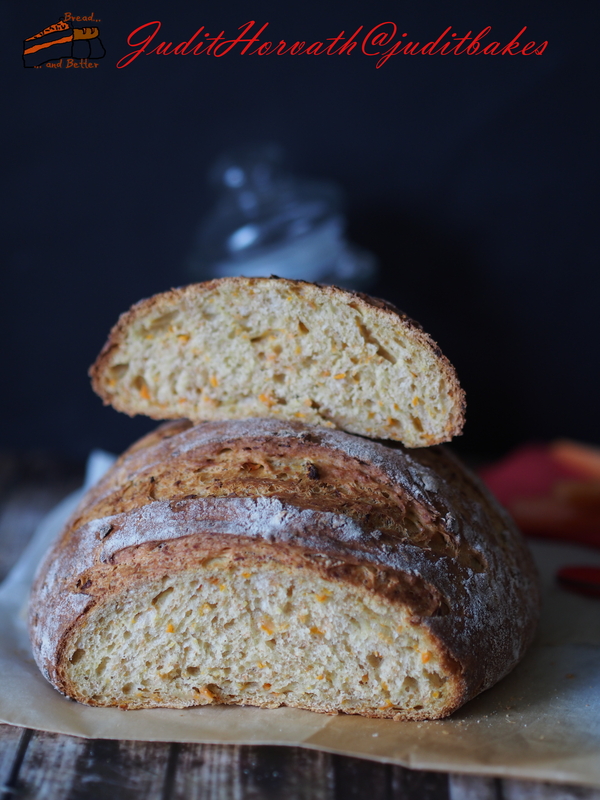 Mix the starter ingredients until the texture resembles a sticky bread dough. Cover the bowl with cling filmc and let sit at room temperature overnight (becomes very bubbly). Mix the ingredients of the final dough, add small amount of oil and knead for about 10-15 minutes. Place the dough into an oiled bowl, cover with cling film, and allow to rise for 60 to 90 minutes, deflating it once, half way through. Form the dough into one or two balls and cover with a damp towel. Let them rest for 10 minutes. Shape each ball into a round loaf by flattening it and rolling it up. 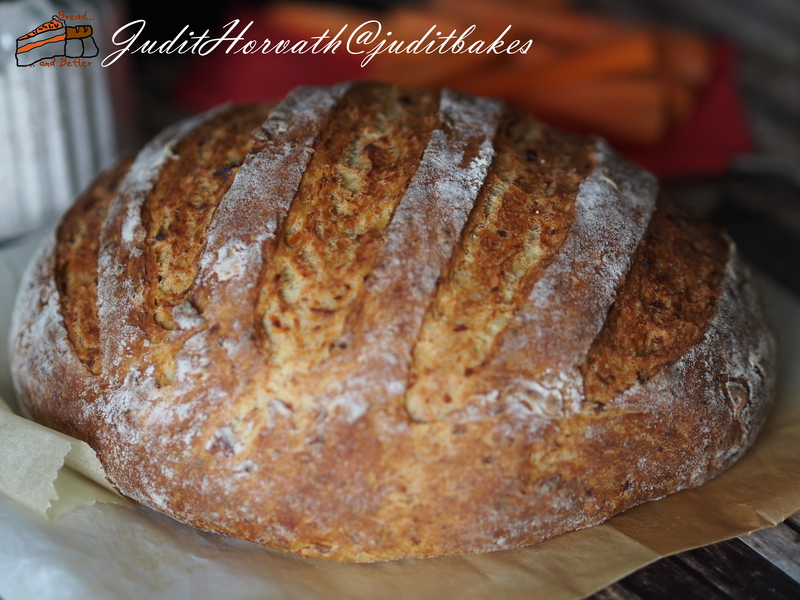 Place each loaf, seam side down, onto a parchment lined tray. Cover and let rise until doubled. Place it into a pre-heated, 200 degrees C oven and spray with water. 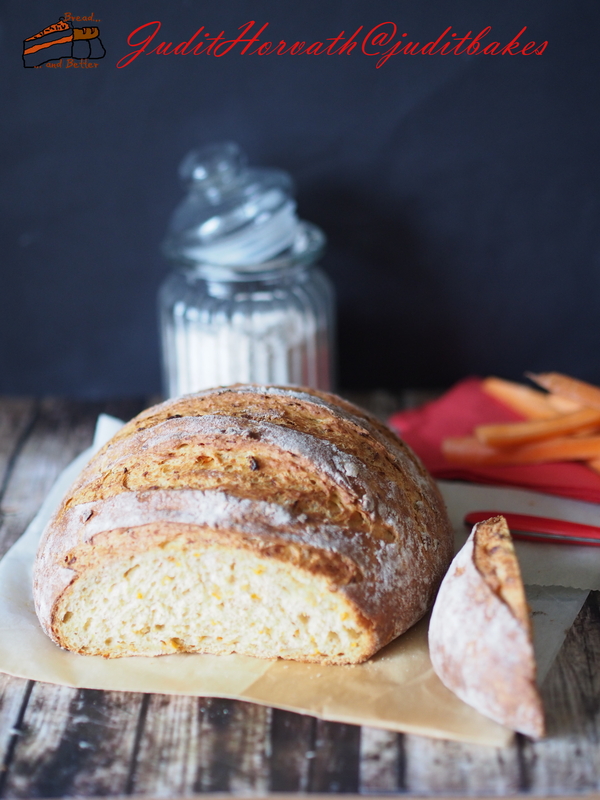 Bake for 15-20 minutes then lower the temperature to 180 degrees C and bake for another 20-25 minutes, covering the loaves with foil if they are getting too brown (which can be caused by the sugar content of the vegetables). Cool on a wire rack. 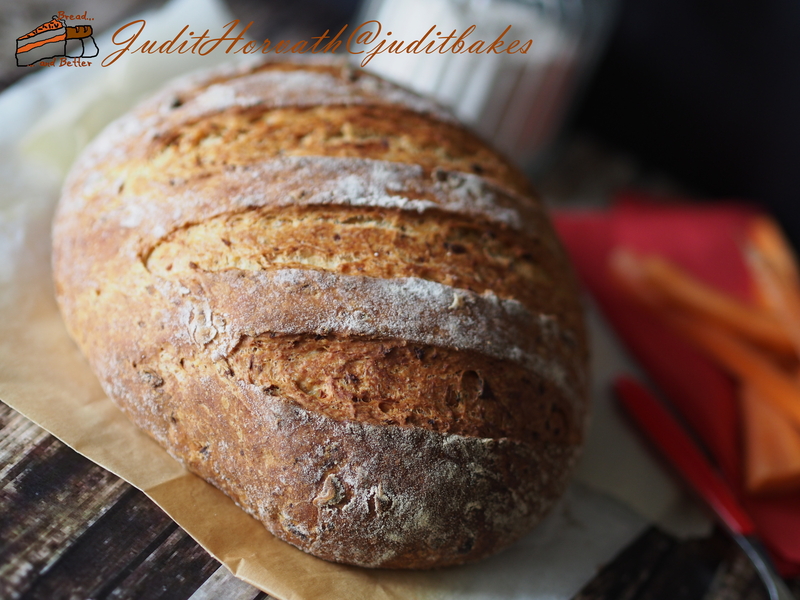 This entry was posted in Baked treats, Bread, Flavoured breads, Just Everything, Long fermentation, Savoury bakes, Seasonal Baking, Special flours and flavours, Treats for Life, Yeasted bread and tagged chlorophyll, glucose, photosynthesis. Bookmark the permalink. ← Sweet Perfection: Hidden Design and Surprise Inside…. 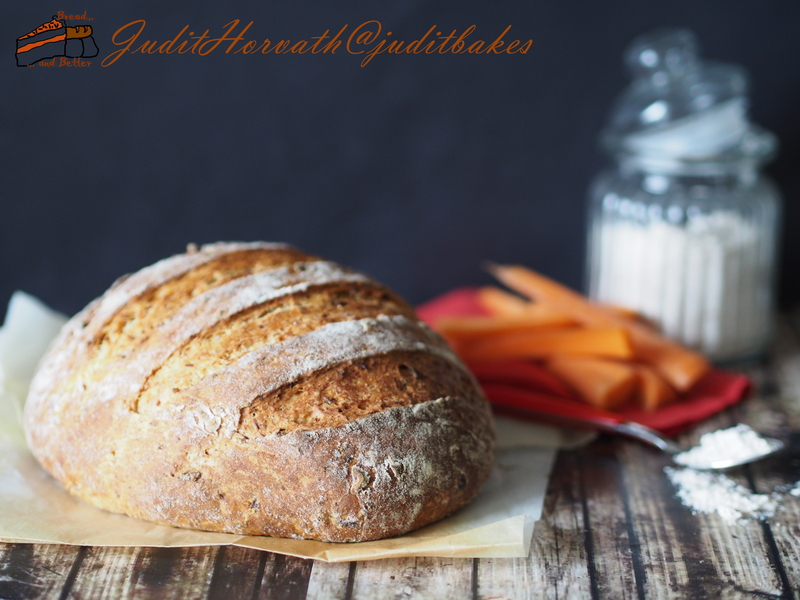 This looks lovely 🙂 I can’t wait to use grated carrots and vegetable juices in bread now.